Tomorrow I board the Celebrity Silhouette for a seven day Caribbean cruise. I was, however, supposed to be sailing on the Royal Princess on her April 13, 2014 seven day Caribbean cruise. For reasons I previously wrote about I am confident I made the right decision. (For those who don't want to read that article now it focused on customer service and making me feel like a valued partner). Obviously, by my nature, I had already started to compare what was to be my Princess cruise experience with my Celebrity cruise experiences and that, equally as obviously, starts with the stateroom; especially since Princess invited to sail on the Royal Princess and "graciously" gave me a veranda stateroom with a view of nothing but a lifeboat! 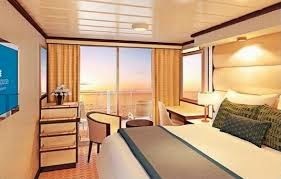 So what are the differences between a standard veranda stateroom on the new Royal Princess (and her sister the Regal Princess) versus the Celebrity Silhouette (and her sisterships, the Celebrity Solstice, Eclipse, Equinox and Reflection)? 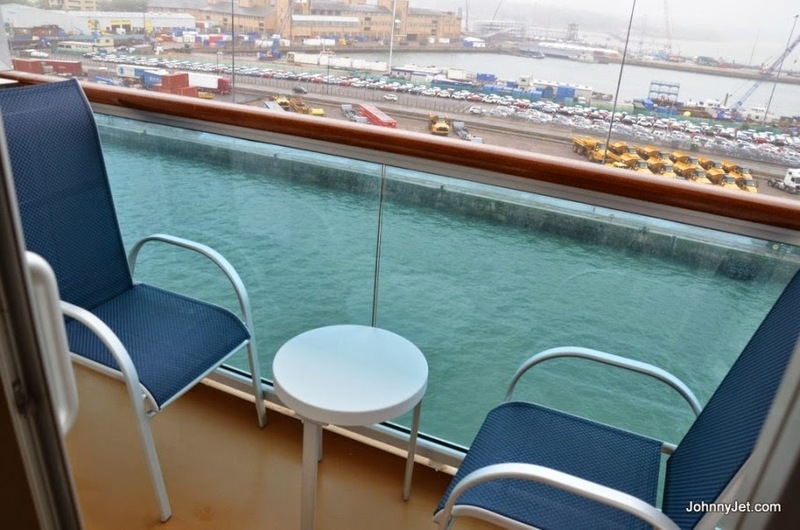 Princess has clearly designed its ships, including its new Royal and Regal Princess ships to get you out of your stateroom and into all the public areas...where you can (and will) spend, spend, spend. Along those lines, the plea I heard when I advised Princess I would not accept being given - as their guest - a view of a lifeboat for seven days, was that I wouldn't be spending any time in my stateroom because there is so much to do. Let me tell you what I tell everyone that says that to me: You aren't spending time in your stateroom because you have a bad stateroom. Meanwhile, since you are in those public areas you buy that extra drink or two, you go to bingo, you buy something in the shops, you go to the art auction. You pretty much do anything NOT to be in your stateroom...and some cruise lines train you that is what your vacation is supposed to be about. But there are many, like me, that actually enjoy the sea. We enjoy sitting on our balcony reading a book, doing some work, enjoying a glass of wine, or - get this - doing nothing. As you will see below, Princess clearly is not looking for that kind of guest. 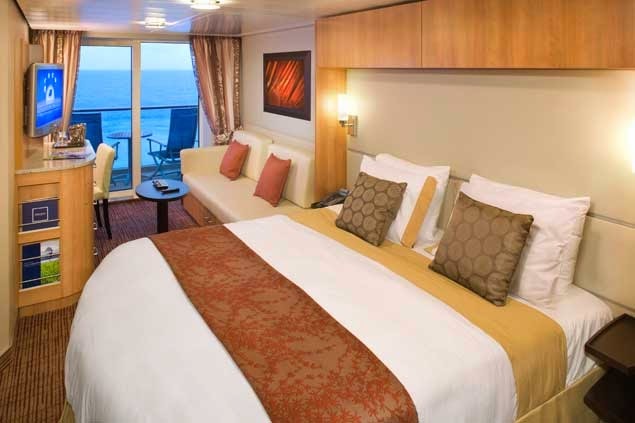 Though Princess doesn't want it to be about "everything"...at least not the Staterooms - Let's start there! 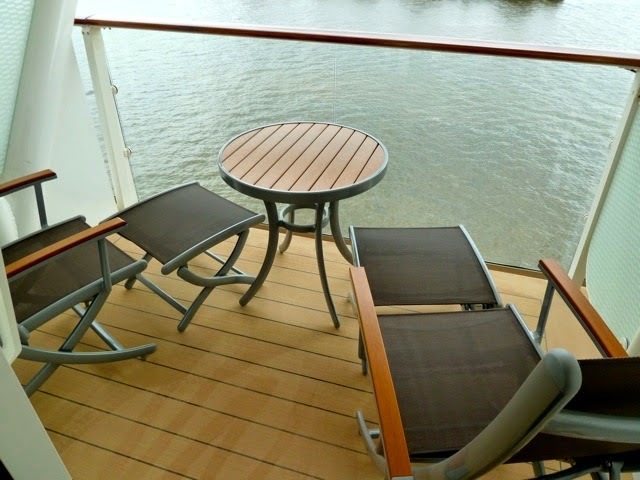 In the stateroom itself, on the Celebrity Silhouette you have a comfortable sofa and a desk chair while on the Royal Princess you are limited to an occasional chair and a desk chair. If you upgrade to a Princess deluxe balcony you do get a love seat, but still not a sofa. A curious design element is that the Royal Princess has the television mounted to the wall opposite the bed and it is fixed in that position. With that configuration you cannot see the television if you are at the desk (your back is to it) or sitting on the chair. On the Celebrity Silhouette the television is swivel mounted and is located opposite the sofa, so it is easily viewed anywhere in your stateroom simply by swiveling it. And then there is the bathroom. 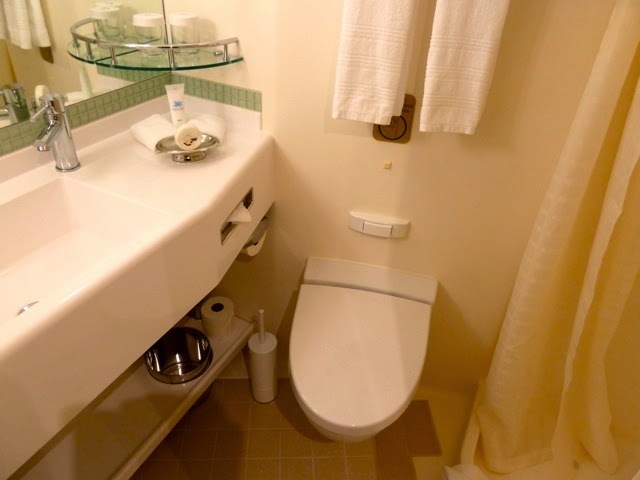 On the Royal Princess the bathrooms are, well, fairly utilitarian white bathrooms with molded sinks and standard shower curtains. The Celebrity Silhouette has a far more stylish bathroom with a vessel sink and a "glass" enclosed shower. One pet peeve of mine: Princess has pump bottles of shampoo/conditioner (and no separate conditioner) and bath gel mounted to the shower wall rather than there being personal amenities...and separate conditioner (as Celebrity supplies). Also, though I am "folliclely challenged", I note that on Princess the hair dryer is built into the vanity, and that is not what most women want. As is pretty clear, if you are someone who wants to spend time in your stateroom enjoying your private space, whether lounging on your balcony, reading a book or watching a movie on your sofa or feeling a bit pampered in your bathroom, the Celebrity Silhouette (and the entire Solstice-class fleet) is a far better value. I will continue my comparisons as I cruise on the Silhouette. There are plenty of comparisons to make! Of course, if you are interested in booking a Celebrity or Princess cruise, please email me at eric@goldringtravel.com or call me at (877) 2GO-LUXURY.